Unlike the most resorts in Bali, the Tauch Terminal Resort Tulamben has to offer eight outstanding dive sites directly in front of the adjacent beach. Our brand new dive center at Tulamben Dive Resort provides everything for the diver’s needs. 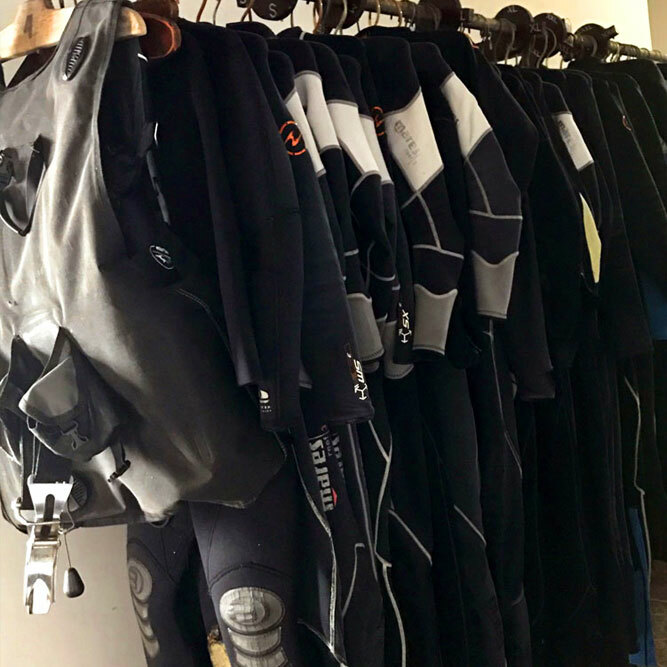 A camera room and all necessary gears are available at our dive shop. 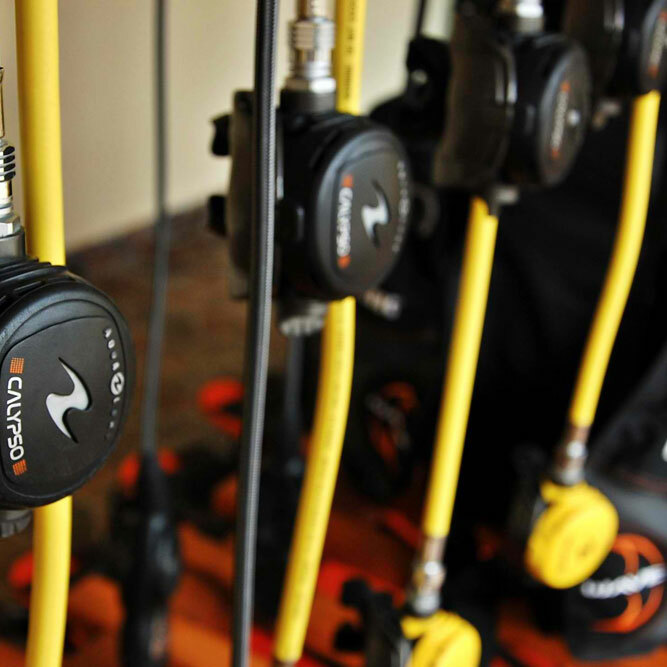 Our compressors are located underneath the dive center in a noise cancelling room to prevent noise pollution. 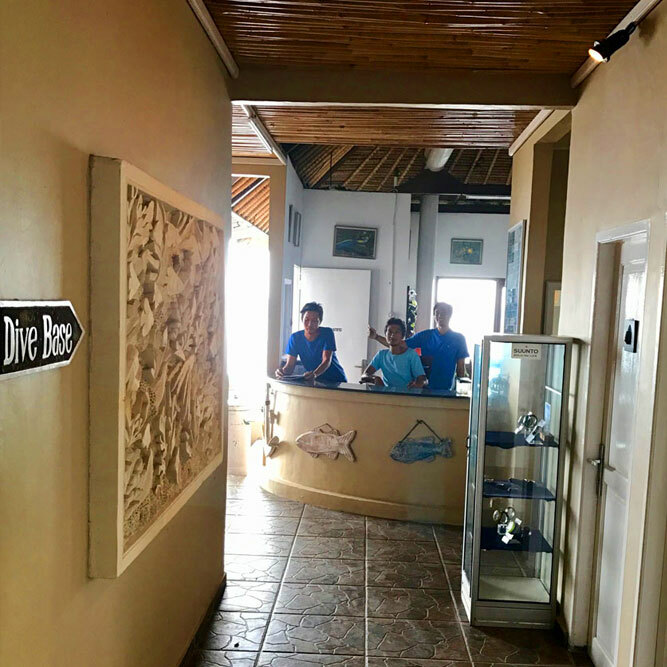 The dive center features a comfortable diver’s hangout for post dive chats and meetings plus a multimedia air-conditioned classroom and camera station. 2 Coltri sub air compressors in combination with a Nitrox filling station provide best air mixtures to fill our 70 alu tanks (38x 12l nitrox, 2x 15l nitrox, 26x 12l air, 2x 15l air, 2x 10l air) tanks. Mainly Aqualung dive sets, as well as torches, cameras and dive computers are for rent. Of course, comfortable transport vans and all safety equipment necessary to run a safe and professional dive service are standard features of our dive resort. Eco-friendly Tauch Terminal Resort Tulamben & Spa. Our Bali Dive Resort awards and recommendations!